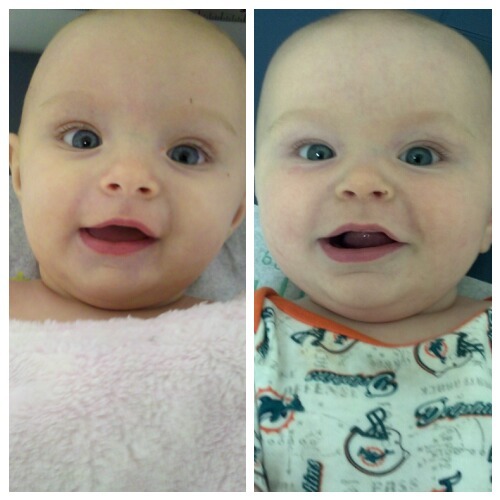 Both babies at their 4 month appointment! Wow! Color Sorting with Foam Blocks. Field Trip to "My Gym"